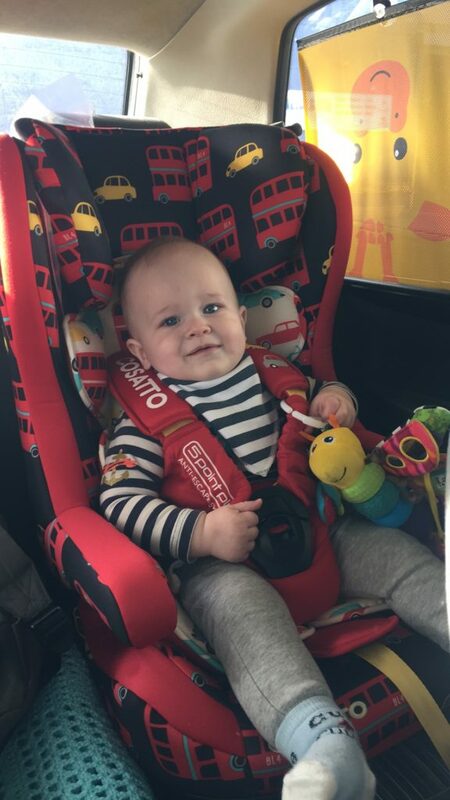 This week is all about Dexter’s first time in his new carseat. Dexter is on the 99th percentile for length and 93rd percentile for weight, so it comes as no surprise that he has outgrown his Group 0 carseat. I spent a long time deliberating over which carseat to buy and we went with the beautiful Cosatto Hubbub. I can’t believe how grown up he looks in it. Our first outing in it was over to the Derbyshire Dales for a night’s stay in Chesterfield. We visited a few local towns in the area including Bakewell and Matlock Baths and spent an hour or so with a dear friend and her son in Chester’s Den located in Chesterfield Football Stadium. It was lovely to spend two days as a family exploring the area and hope to return in the summer when the weather is a bit nicer. Dex looks SO grown up here, no wonder if he’s such a tall baby! Sounds like a lovely couple of days away too, hope Dex enjoyed his new view en route! He looks huge here, bet he loved being forward facing.